Great for polishing metal and cleaning leather. 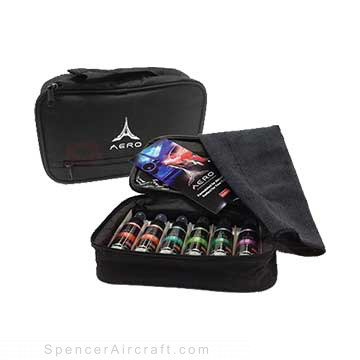 Mini 6 Pack Traveler Includes 2.5oz bottles of: SHINE, FINALE, AWAY, IMMACULATE, VIEW, and SPOT. We also include 1 300GSM Pro Series Microfiber towel, a custom AERO embroidered travel bag and AERO brochure.